Recently, Microsoft launched a new program to train military spouses in IT and guarantee an interview with Microsoft or one of its 360 hiring partners for those who complete the program, potentially leading to careers with a starting $70,000 salary. When we think of the dedication and self-sacrifice that military members make to serve their country we often forget about the spouses behind the scenes. Nearly 92% of military spouses were female in 2016. They often forfeit their own careers to accompany their active duty spouse when they are deployed or stationed to new bases, moving every few years to different cities around the world. 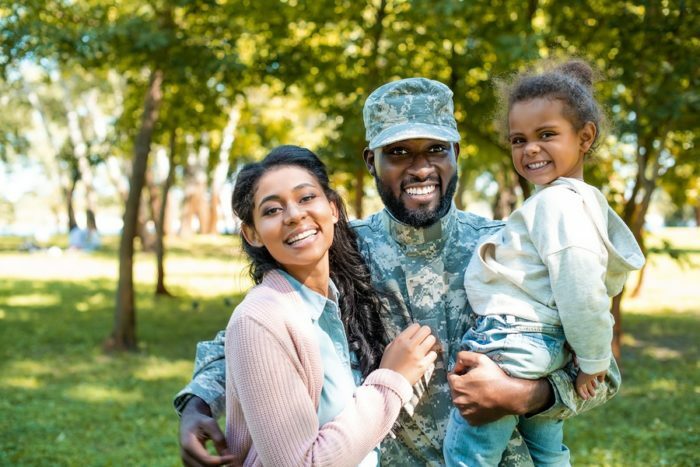 Given the demands of active duty, military spouses are often left with the responsibilities associated with caring for the family and raising their children. But these women and men are an untapped source of skills and talent who have much to offer the corporate workplace if companies learn how to reach out to them and accommodate their mobile lives. It’s time we start to fix this problem, and Microsoft’s move is bringing this conversation to the forefront. 74% have some college experience. 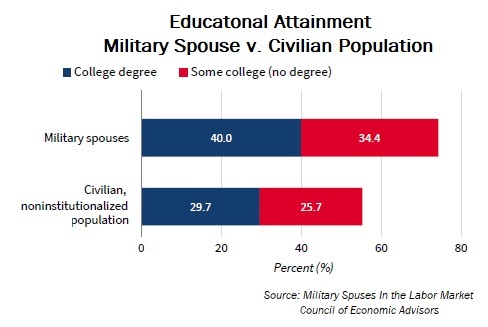 In fact, 40% of working age military spouses have a college degree compared to 30% of the U.S. working age population. Yet, despite military spouses’ valuable skills, their unemployment rate was 16% in 2017 compared to the average of 4.4% for all citizens. One big reason military spouses are often overlooked is because of how often they’re required to move. But this actually makes them adaptable and independent, optimal qualities to have in an employee. And seeing as many people in today’s world work remotely, this should not be a reason military spouses have difficulty finding a job. To combat this high unemployment rate, the government and private sector are connecting military spouses with career development and networking opportunities. Resources like the U.S. Chamber of Commerce’s Hiring our Heroes Military Spouse Program put military spouses face-to-face with employers and educate both parties on how to ease their transition into the workplace. Some corporations have formed support networks to provide onboarding and career guidance to spouses who have been outside the job market for some time. Capital One has a dedicated veteran and military spouse recruiting representative for every line of its business. Prudential has a program that offers mentorship and training in IT to veterans and military spouses. Workforce development programs can also be used to target and recruit from the military spouse population. These outsourced programs can provide accelerated, free training for military spouses—vital in accommodating their ever changing lifestyles and also the limited budgets of most military families who subsist on one salary—before placing them in corporate roles. Many military spouses already have the skills they need to be an asset in the corporate workplace. They only need a leg up to overcome the initial obstacle of landing a job, but after that, they are bound to prove just how invaluable they are to business.